From the 9th of July until the 15th of July, the seventh edition of the European Championship Sand Sculpting will be held in the seaside village Zandvoort aan Zee. 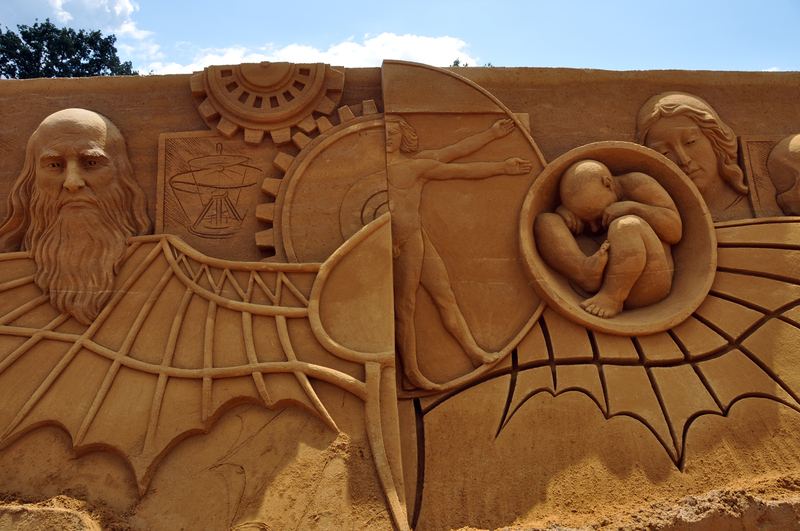 Seven renowned artists from seven different European countries will each create an impressive sand sculpture. The main theme will be “Leonardo da Vinci”. Each contestant will interpret a sub theme in a sand sculpture, inspired by the work and life of this 15th century genius. The Sand Sculpture Route is an initiative of the World Sand Sculpting Academy, the participating municipality and sponsors.